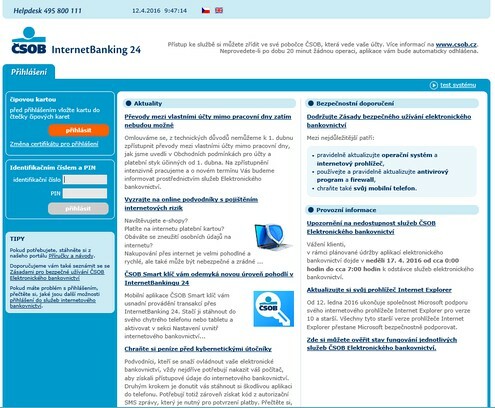 ČSOB is the only bank that provides Internet banking users with qualified certificates for chip cards. Therefore all users get the highest security for their Internet transactions. The certificates can also be used to communicate with state administration institutions (tax authorities, health insurance companies), sign e-mails and other operations that need high security. To see a chip card operating correctly install the latest version of the SecureStore application (www.csob.cz/software).